Living in a Dog’s World. 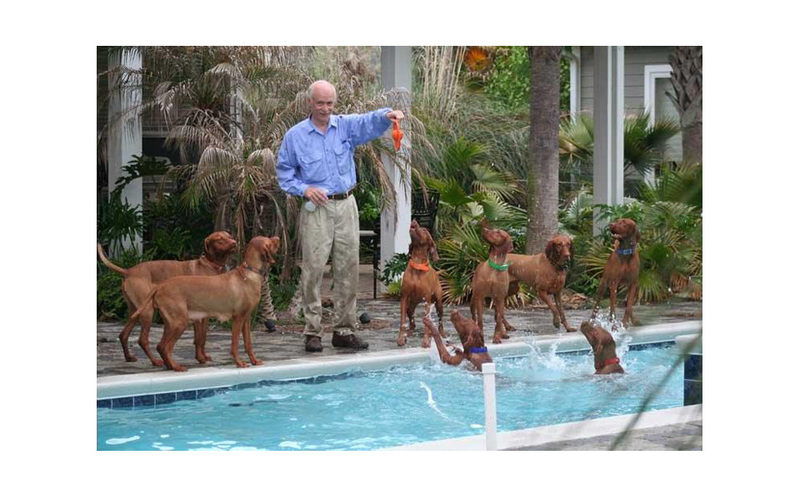 Sal Dickinson of the Tampa Bay Vizsla Club said this, and I found it to be so true, it started me thinking: “What exactly is it that makes the Vizsla so unique, and why do I consider them so special?” After living with them for over 50 years, here are a few of my observations. 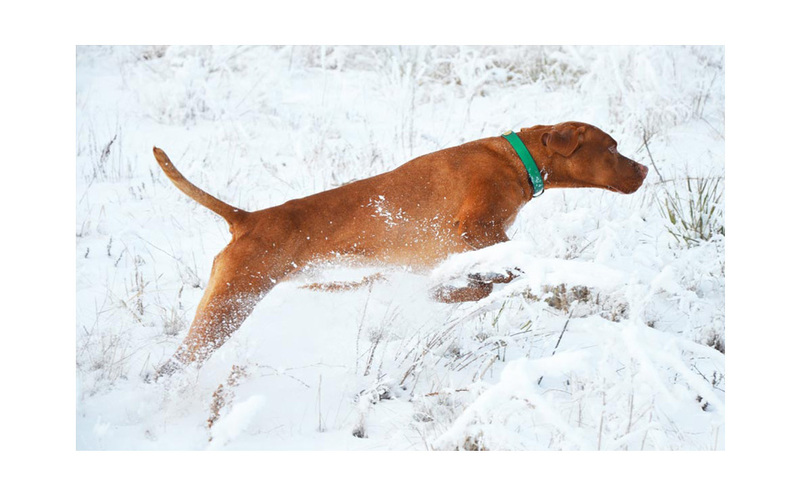 The Vizsla is inordinately happy. They don’t have “good” days or “bad” days like you or I might have. 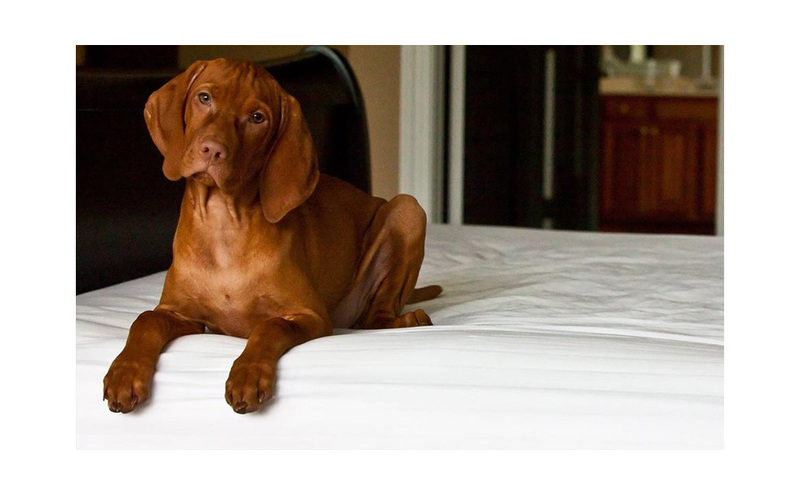 They wake up tail-wagging happy, ready to seize the day and make every minute count. 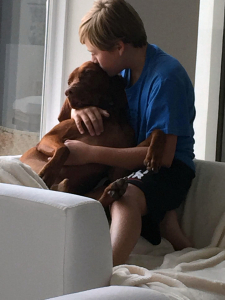 Vizslas have an indescribable capacity for unconditional love. V’s want to be with their owners 24/7. Not just on “our” timetable, not just when things are exciting, not just when the mood strikes them. Appropriately, they’re called “Velcro” dogs, because they want to be with us all the time. 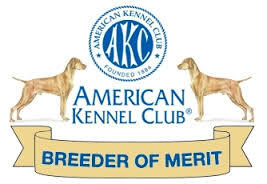 Placed outside with four other dogs, they wait persistently at the door, lined up one by one to come back inside. They lick the dishes in the dishwasher when we are tidying up after dinner. They climb in our lap at the slightest hint that this would be OK with us. They follow us into the bathroom almost laughing at our need for privacy. They make our chairs their chairs, steal our slippers with a devilish glee, practically snuggle us off the bed, and we love them for it all. Even our children don’t get away with as much! 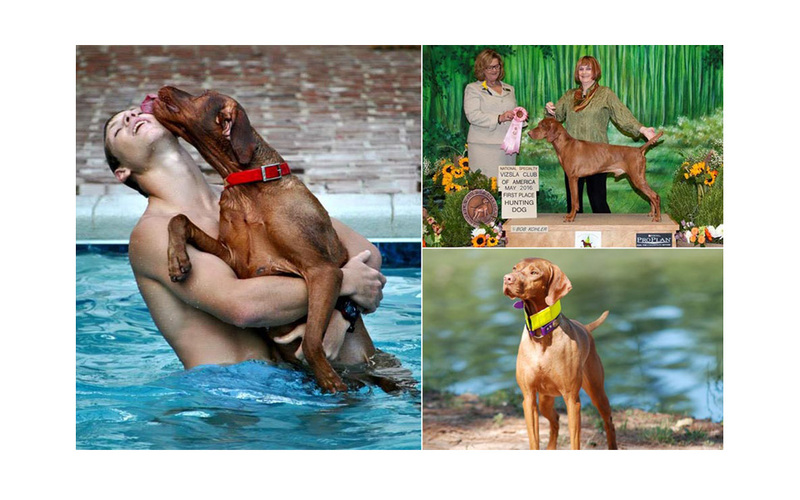 Vizslas assume their place in the family with grace and enthusiasm, and they must live in our homes in the midst of us. They are never happy as outside dogs or in a kennel run. They are never happy isolated from their human family. 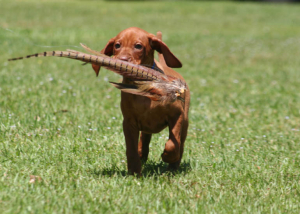 The Vizsla is a born pointer-retriever. An eight-week old puppy will point like a pro. 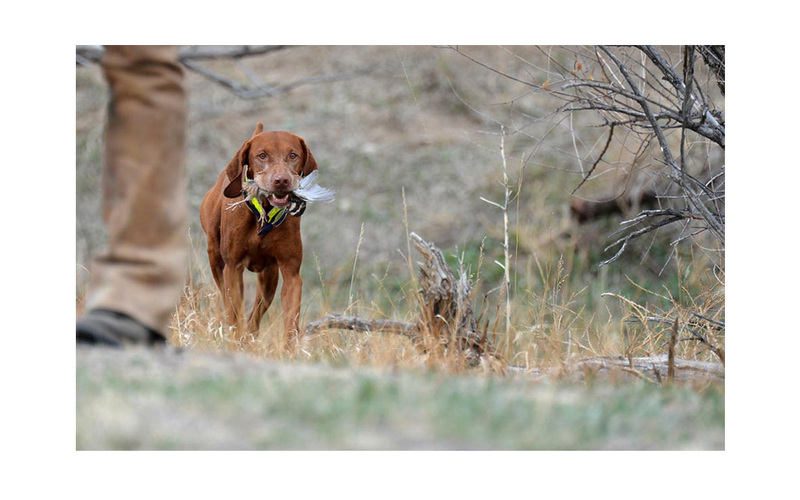 More importantly and unlike many other sporting breeds, the Vizsla hunts for us, not for themselves. 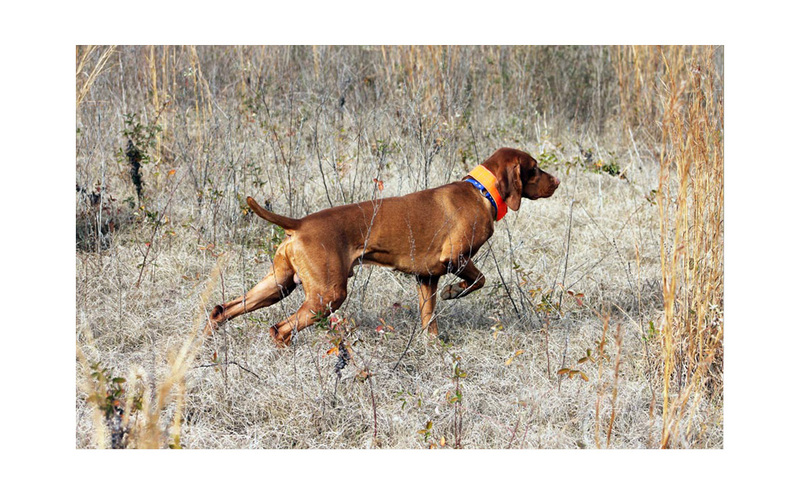 The Vizsla is typically an exceptional field dog with an agile and notable style, a sensitive nose and a strong point. 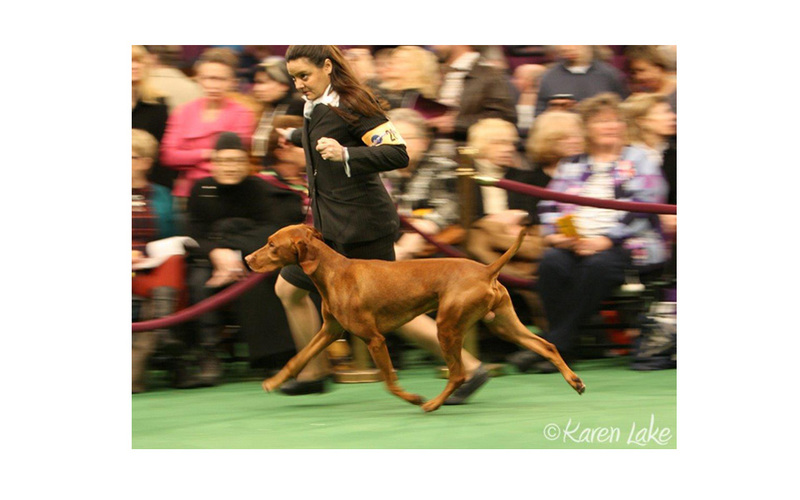 They are a joy to watch, truly want to please their handlers, and their stamina in the field is unsurpassed. Also, their intelligence and sensitivity are remarkable. If we have the patience and awareness to open the eyes of our hearts, what we learn from them is beyond what we could hope for or imagine. 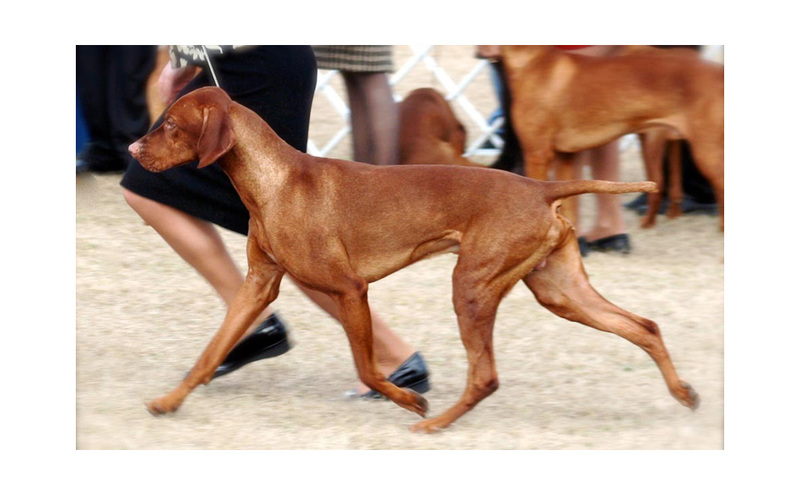 In the breed ring, the Vizsla is elegant in conformation and style, authentically quiet and regal, with a presence all their own. 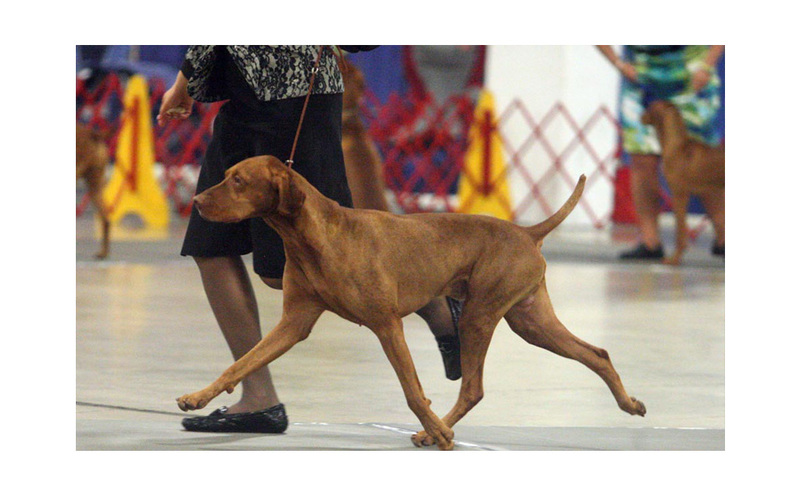 The Vizsla is truly a versatile dog who is beautiful in the show ring, exceptional in the field and an adoring companion at home. 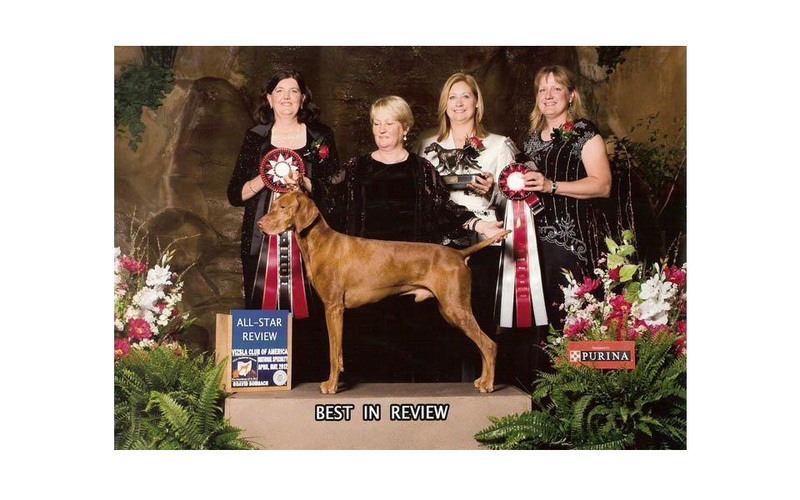 Every day I consider it an honor to live with my Vizslas and can’t imagine being without them. Who knows? 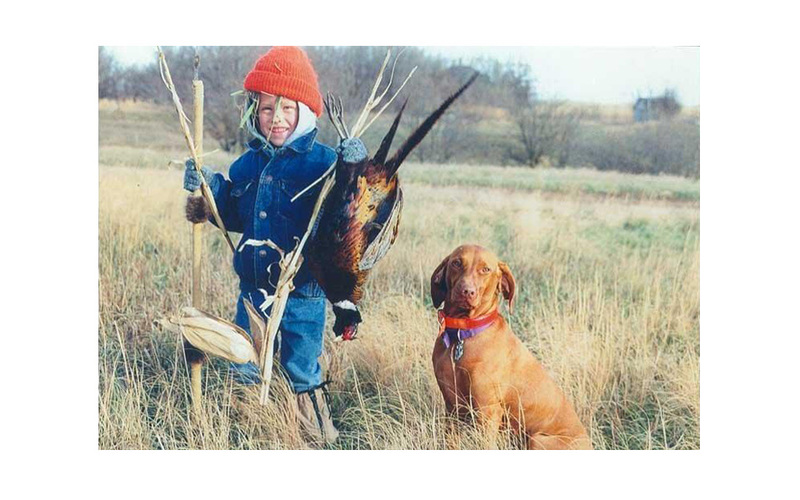 One day you too might have the pleasure of owning a Vizsla. 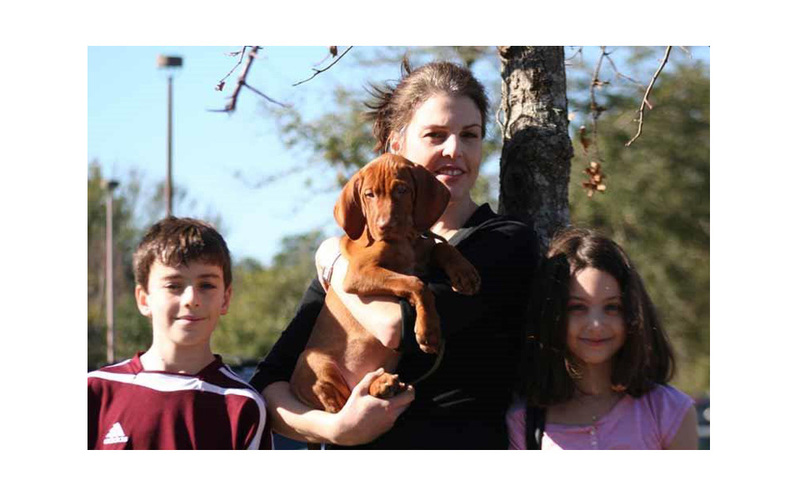 Then you too will understand why… “It’s wonderful to be a human in a Vizsla world.” Never has a quote been so true.